Trailer Released for Monster-Mash Video Game Movie 'Rampage' - Horror News Network - The Horror News You Need! 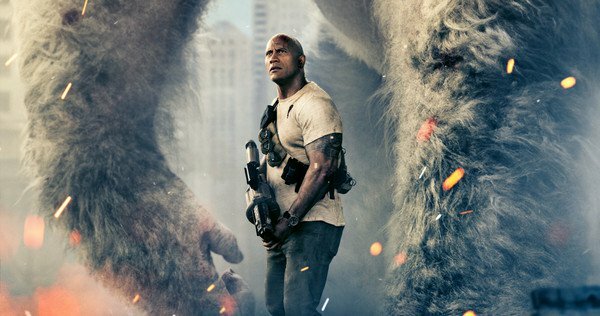 The trailer for Brad Peyton’s video game adaptation of Rampage was released today and promises all of the building smashing you remember from Bally’s coin-operated hit. The film stars Dwayne Johnson, Jeffrey Dean Morgan, Naomie Harris (Moonlight), Malin Akerman (The Watchmen), Jake Lacy (HBO’s Girls), and Joe Manganiello (True Blood). The film will be released on April 20, 2018 and you can check out the first trailer below. 'The Nun' TV Spot Warns You to Stay Out of that Coffin!